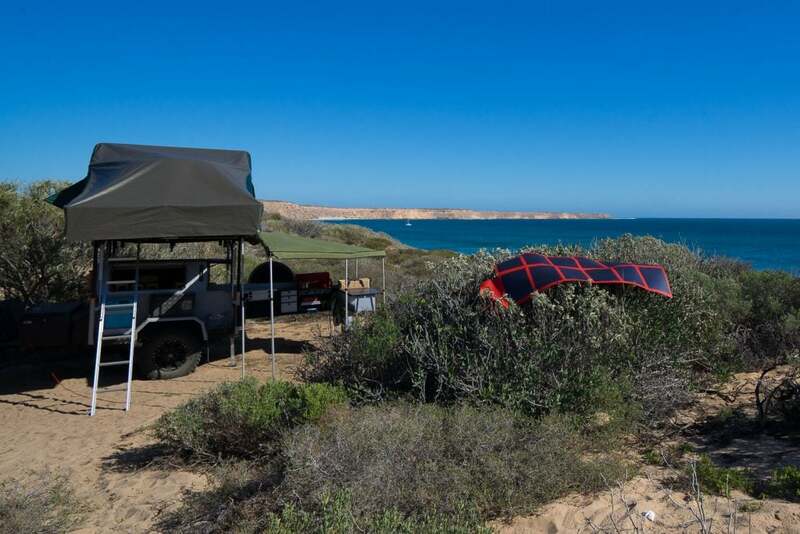 Of all the different things that people enjoy most when towing a camper trailer, we are prepared to bet that an effortless camp kitchen is one of those features. The DRIFTA DPOR Fridge Box Kitchen. 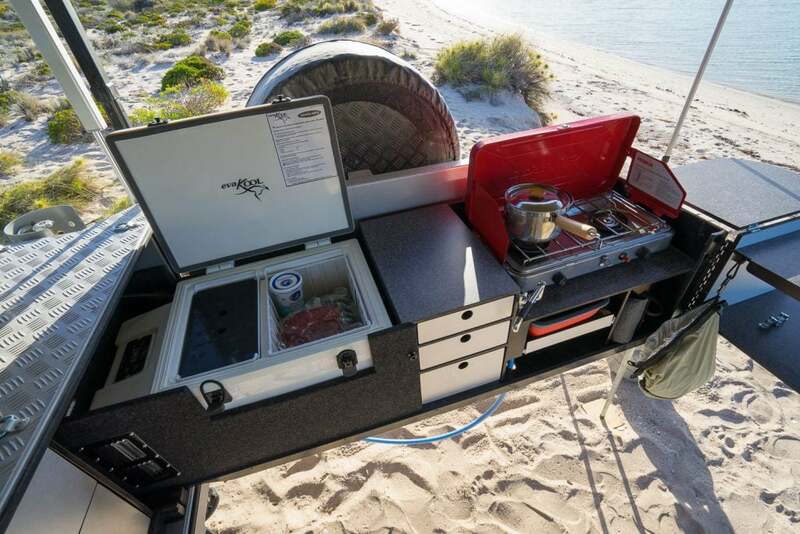 While it is seen here as mounted in a DRIFTA DOT 6 camper trailer, it’s a kitchen that is designed to fit and slide out of many different trailers. 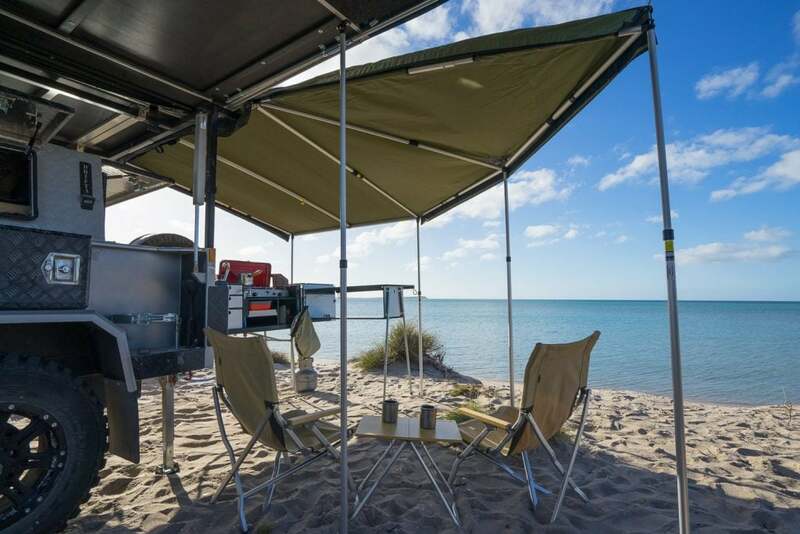 We were told that these kitchens are commonly fitted to those buying trailers without a kitchen, or for those looking to upgrade. 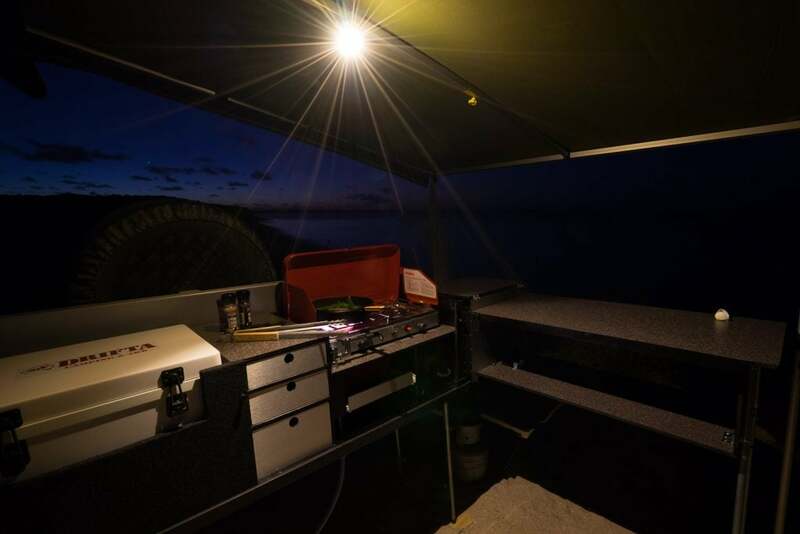 DRIFTA DPOR Fridge Box Kitchen sits inside the trailer on the same Teflon sliders that DRIFTA use in their drawers. It slides out to it’s full length and has easily adjustable legs that swing down for good solid support. The fridge box suits Evakool 47L fridge – millimetre perfect. 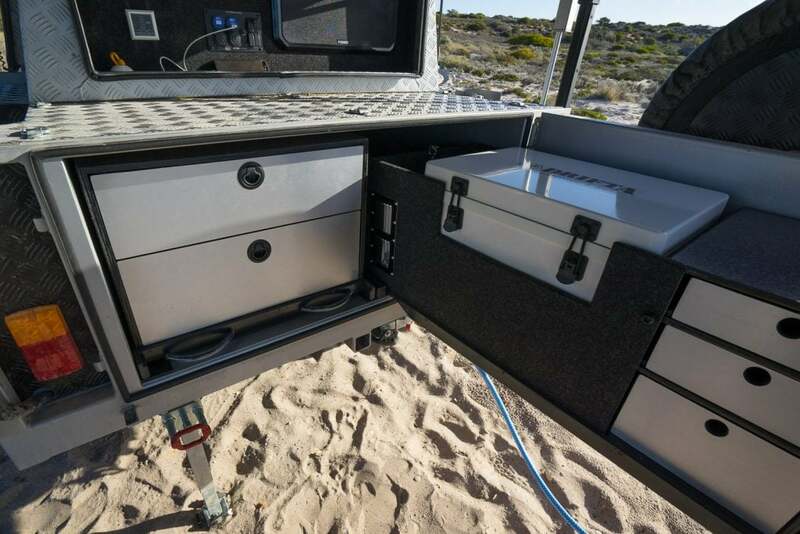 The variety of different sized drawers swallow everything that a camp kitchen could need with incredible ease. 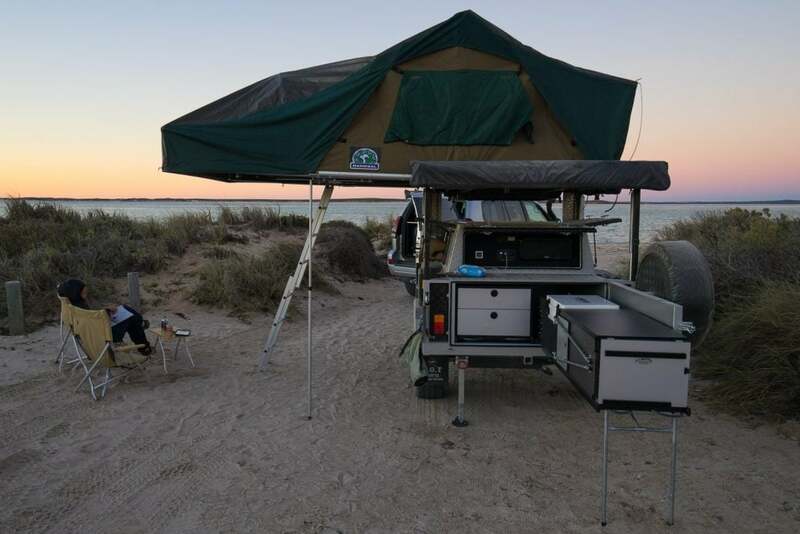 There is a handy central tap positioned just above the pullout collapsible and portable basin. Pullout means bench space isn’t sacrificed. Portable means it is easy to dispose of waste water away from the camp. This is indeed clever. There is a huge amount of bench surface and the laminate finish makes cleaning easy and well, almost delightful. Almost. 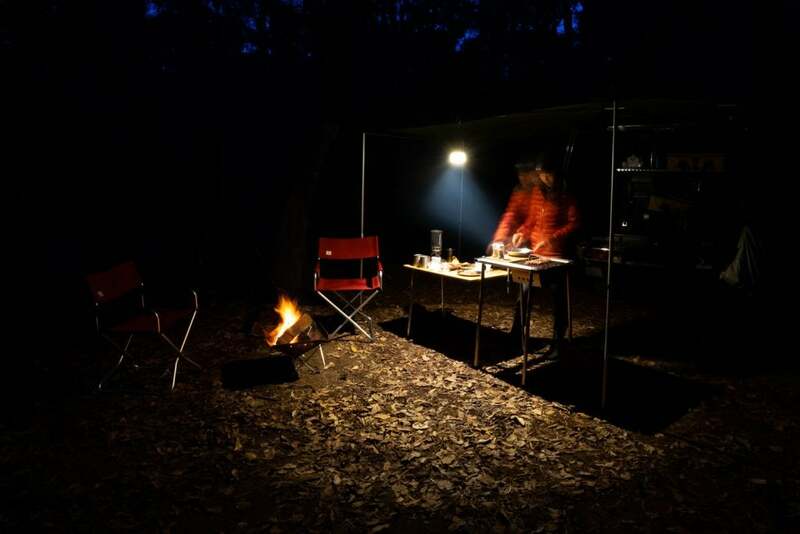 The optional Primus stove fits perfectly in the stove spot. 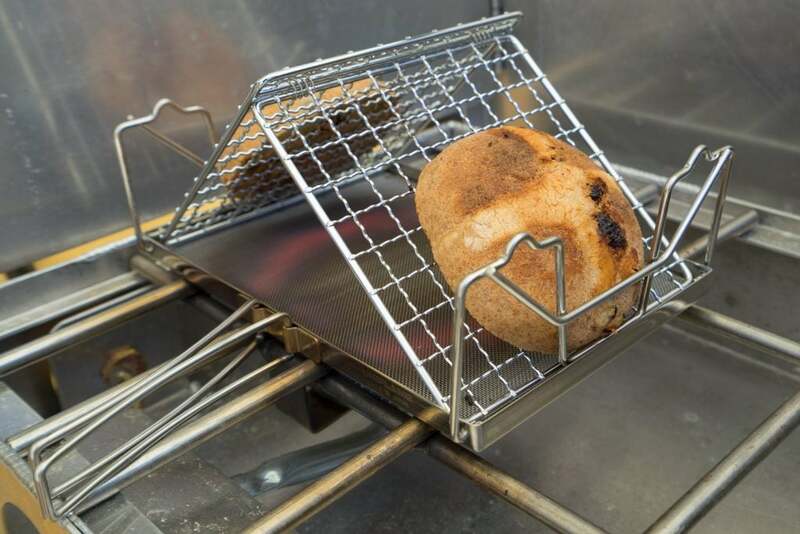 Do not underestimate the power of this little beauty as it produces a decent amount of heat to make cooking easy. The storage box on the left side has some clever features too. 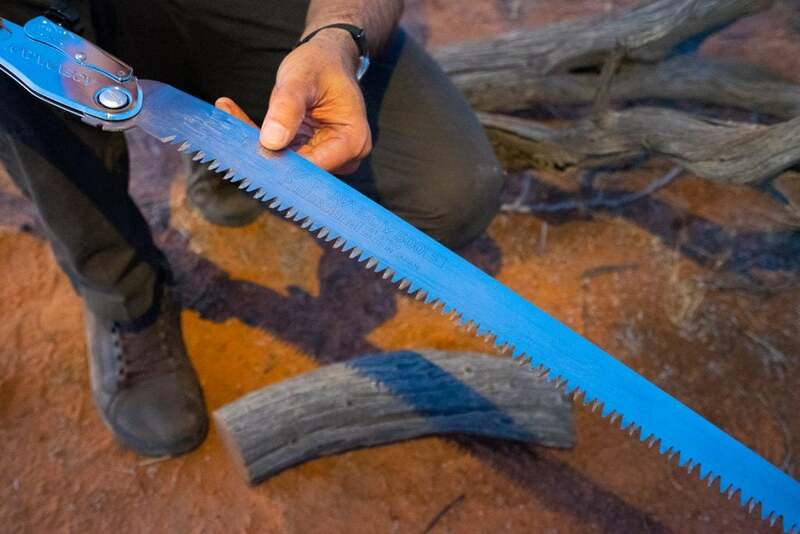 The drawer runs full length, and is broken into two parts. The first half metre is part of the kitchen. There are two large drawers, and when pulled out, above the drawers is a laminate surface – even more bench space! The second section is a large and long storage box. There is also an option of a large custom table that neatly fits in the top of this box. The only challenge with this kitchen seem to be finding some paradise to place it, and then prying yourself away once you have.